You’ve been brown bagging your lunch at work every day and drinking your coffee at home every morning, you’ve shown discipline financially for months saving money. Now you have enough in your bank account to head down to the electronics store to finally pick up that in-dash navigation/satellite radio system and a set of speakers to make any audiophile jealous. Now you need to get them installed in your vehicle. What do you do? For most, it would be tempting to block off a Saturday afternoon from your schedule, grab some cold drinks and install them yourself. Hey, we get it…saving money and having the satisfaction of a job well done are great things, but let us give you a little guidance before you start prying your dashboard off with that flathead screwdriver and potentially damaging your ride. So, let’s take a look at five main reasons that you should be cautious and call a professional to install your mobile electronics. Long gone are the days of “gas and spark” simplicity of motor vehicles. I know personally, I miss the days of helping my uncle rip down and rebuild an old Chevelle or El Camino with little regard for damaging anything permanently. They were simple back then, not to mention fun and educational to work on. Nowadays, not so much. Today’s vehicles are increasingly complex and often hold a myriad of electronic systems worthy of any engineering laboratory. From complicated security systems to noise-canceling technology, lighting, and even the vehicle’s main computer, late model vehicles are nothing to be messed with if you don’t have the proper skill level to navigate their schematics and systems. It should be for this reason alone that you need to enlist the services of a pro to install your mobile electronics, but there are still even more reasons you need to be cautious with DIY installations. In an attempt to thwart thieves and protect their proprietary systems, most vehicle manufacturers developed their vehicle systems to require special tools to work on them. For example, most European cars, as well as Ford’s, require a special type of tool to remove the dash and various components. How about an offset driver to get to those screws that are set at odd angles? Not to mention simple panel poppers to get panels removed without damaging them, or even more complex electronics tools like a phase tester for speakers, or an oscilloscope for signal clipping. 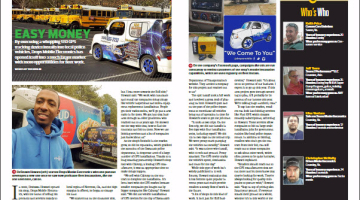 In fact, there are hardly any late model vehicles on the market today that doesn’t require a special tool or removal procedure to conduct a proper, damage free installation of mobile electronics and their associated components. Given that, in most cases, just the cost of the proper tools for an installation will end up costing more than having a professional come out and do it for you! While the simple act of having aftermarket electronics components installed in your vehicle are well within the guidelines of your warranty, an improper installation and the associated damage caused can and will often void the manufacturer’s warranty. When you have a professional install your components, you gain the benefit of not only their experience, special tools, and ongoing guidance on the operation of the equipment, you get the backing of their liability insurance. Professional mobile electronics installers carry insurance that will cover any damage caused by an installation, leaving you with an intact warranty and the peace of mind of knowing that your installation won’t end up costing you money down the road. Again, this one reason should be enough to spur you to call upon a professional to complete your installation. We all work hard and most of us want to make the most of our valuable free time. Most of us would rather be spending our off time with family and friends instead of working on installing our car stereo system in the garage or driveway in this notorious Atlanta heat! With that in mind, is saving a couple hundred bucks or less worth taking a Saturday afternoon away from our loved ones to work on your car? I know personally, I would rather be relaxing with my wife and friends at the lake or beach with a grill and cooler! Do you? Here’s a good story to illustrate my point. On a Sunday afternoon a few years back I had a toilet that was leaking a bit. While it was during football season, my team wasn’t playing so I decided to grab some tools and parts and fix that leaky toilet really quick. I was taking it slow and methodical, removing one piece at a time while following the instructions I found on the Internet. About 20 minutes into an uneventful repair I heard a loud pop and the sudden rush of water running from inside the wall. I scrambled to get under the house and turn the water main off. What now? Well, we needed water to the house so my only option was to call an emergency plumber. Did I mention that is was a Sunday during football season? Yeah, exactly. The leak and toilet were fixed but writing the check for the emergency repair stung a bit. The point is, most often it will cost a great deal more to fix mistakes made than it would have called in a pro in the first place! There you have it. 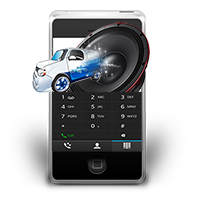 Five convincing reasons why you should really call a professional in to complete your vehicle electronics installation. Most often you will find that the level of service, quality of work, and expert guidance are well worth the cost. Not to mention, you will have a weekend with friends and family as well as a car that will get you to work on Monday morning! So, call on the crew here at Drops Mobile for your professional installations…we’ll get it done the right way! 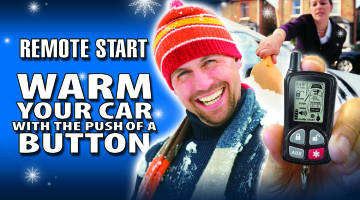 Tis’ The Season…To Get A Remote Starter!